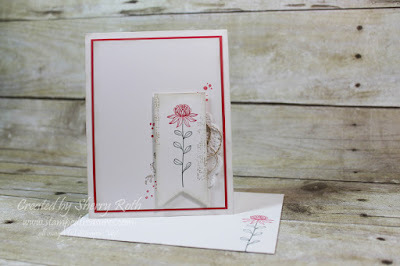 Sherry"s Stamped Treasures: Flowering Fields and Wildflower DSP by Stampin' Up! Flowering Fields and Wildflower DSP by Stampin' Up! 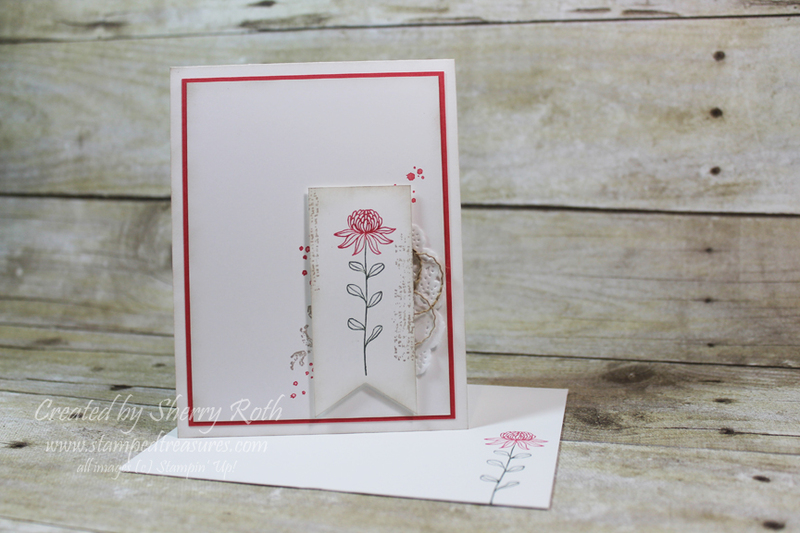 Last week I finally got around to mounting my Flowering Fields Sale-a-Bration set. I must admit, I wasn't convinced about this set but now that I've played with it a bit and have received some cards using it, I am loving it. Isn't that the way with so many products?! This first card was inspired by one my upline posted on our team Facebook page. I love the simplicity of this image in particular. You could whip a bunch of these cards up in no time! This next card was inspired by one I saw on Pinterest. 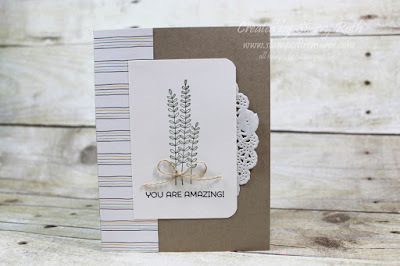 I loved the look of combining it with the Timeless Textured stamp set to give it more of a grunge look. So pretty, yet still clean and simple! This next one is a little 3x3 card. I love these little note cards! They are great for tucking into orders as a little thank you or to include with my Etsy orders with a little note of thanks. AND the fact that I can use the coordinating Wildflower paper to make a matching envelope is awesome! This card was one I received from my friend Lorna. 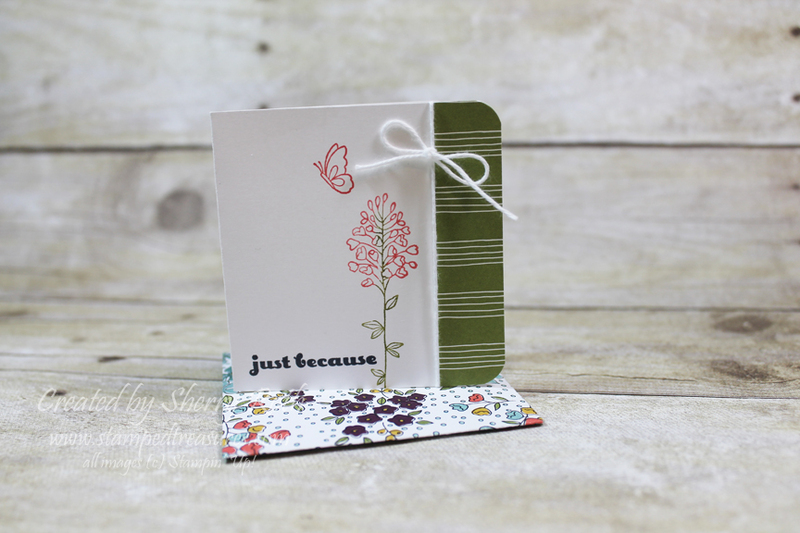 Combined with the Wildflower dsp - just imagine all the possibilities for cards! Love it! 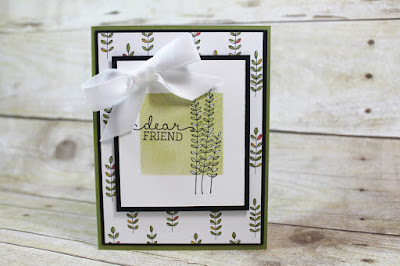 And the last card I have to share with you today is one I received from Shannon West. Again the simplicity of the images is just incredible! 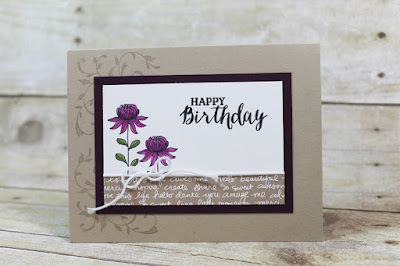 I love this card and plan on CASing it for a few upcoming birthdays! Both the Flowering Fields stamp set (#141300 WM / #141303 CM) and Wildflower dsp (#141022) are available for free with every $60 purchase. Shop online to pick up yours today! 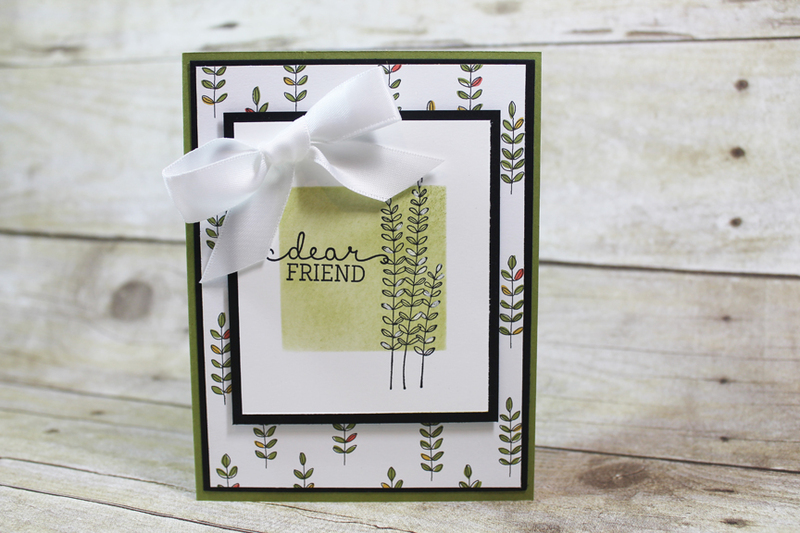 Receive this free tutorial when you purchase $50 or more from my online store during the month of February.